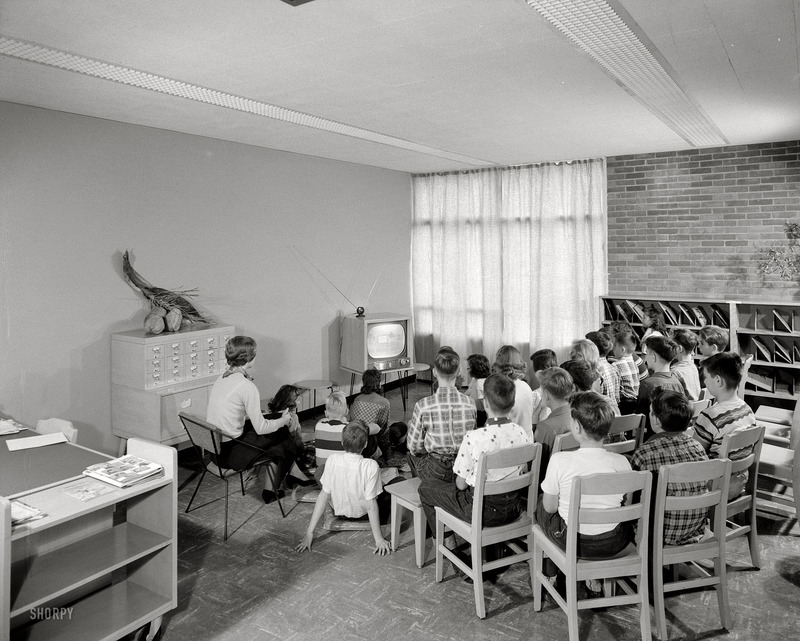 A recent Phi Delta Kappan article caught my eye about using TV in the classroom: Teaching with television: New evidence supports an old medium, by Deborah L. Linebarger. In the article, Linebarger cites research affirming that TV can be used effectively in the classroom – especially where it supplements, rather than supplants, good instruction. There are some obvious benefits in having videos that enhance a lesson. I recently was watching Fabric of the Cosmos – a four-hour series on PBS featuring Brian Greene. The third episode (Quantum Leap) showcases the weirdness of the quantum world. In just 20 engaging minutes, Greene is able to beautifully illustrate concepts that I could never replicate in class (and it’s free online too). Those who choose to air video content in the classroom risk being called lazy, if not accussed of educational malpractice. This brings to mind the movie Bad Teacher, where Cameron Diaz exhausts her supply of “education-like” movies so she doesn’t have to prepare a lesson. While this hyperbole is funny, it speaks to the fear that some educators might have in letting TV do the teaching for them. Watch Segments. Many full-length videos are not appropriate for viewing in the standard 50 minute classroom. However, with digital media on DVDs and online, it is easy to watch shorter segments – specifically tailored to your classroom content. Paid services like Safari Montage and Discovery Education Streaming make this even easier, as their videos already are ‘chopped’ up for this purpose. Use the Remote. When watching longer videos, I think it is important to use the pause button often. Not only does this insert physical breaks for the students, I can take the time to discuss the curricular importance of a scene and use informal assessment techniques to gauge student learning. Don’t turn down the lights. While it is tempting to turn down the lights while watching content, this is a sure-fire signal for many students to disengage from the lesson. If possible, try to have some lighting on to remind students that watching the video is an active experience. Stay current. Amassing a collection of videos as permanent features in your curriculum might be enticing, but it can encourage you to stick with outdated and irrelevant content. Take time to preview new content that might replace older content (however, there are times when I specifically use outdated content in science as a way to discuss how science changes). Television can never replace teachers. 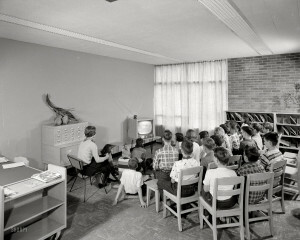 But Teachers can use television well, taking advantage of its strengths.